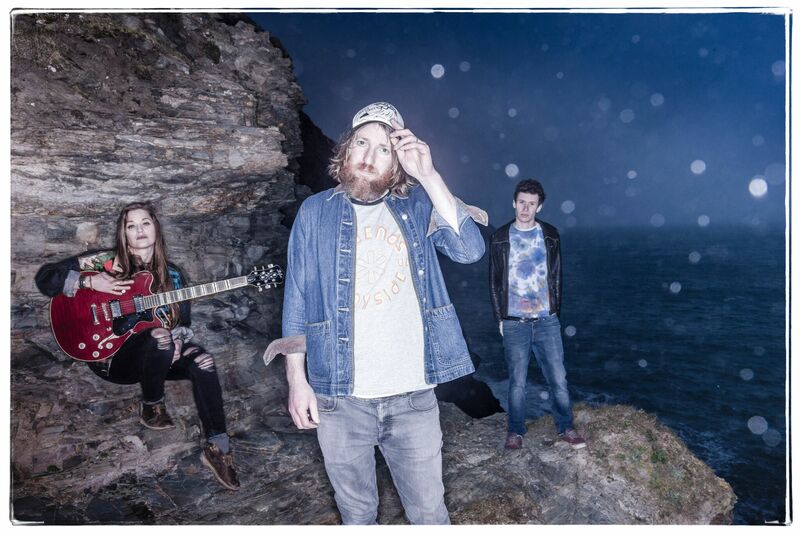 Indie-Americana trio William The Conqueror today announced the release of their debut album ‘Proud Disturber Of The Peace’ via Loose on 4 August 2017 joining a roster of esteemed label mates including Courtney Marie Andrews, Sturgill Simpson and The Handsome Family. William The Conqueror debuted first single ‘In My Dreams’ which was premiered today on influential music publication Four Oh Five, who stated, “William The Conqueror seems hellbent on blurring the lines between genres. While the headline of this very piece dubs them an “Americana” act, they could also easily be labeled as “country” or “folk” or even “grunge” or just straight-forward “rock.” But whatever you want to call William The Conqueror does not matter. All that matters is that this group is good. Damn good.” Click here to listen now. Hailing from the coast of Cornwall, multi-instrumentalists Ruarri Joseph, Harry Harding and Naomi Holmes channel classic blues and singer-songwriter influences through a grunge/indie filter drawing influences from bands and artists as diverse as The Doors, Ryan Adams and The Lemonheads, with Mark Guarino from The Guardian describing them as “stomping country rock veering into stoner grunge”. Praised for their grit and authenticity by the likes of The Guardian and NPR’s Ann Powers, the three piece have already made their mark across the pond in Nashville performing at the influential AmericanaFest which led to a nomination for best song at the UK Americana Awards and a chance to share the stage with the likes of Jools Holland and Van Morrison. The debut album charges through ten raw tracks, asserting itself with opener In My Dreams, a song about destiny, disappointment and defiance; driving drums and heart racing bass setting the tone. Other standouts include the confessional and timeless Pedestals, the mysteriously triumphant Cold Ontario and epic future single Tend To The Thorns with its earworm guitar hooks, blistering drums and ethereal harmonies. Sculpted off the radar with no-one to answer to but themselves the band ended up recording the album in Joseph’s garage (literally disturbing the peace) after plans to record it on the Isle of Lewis were hampered by a hurricane killing the power. Undeterred and embracing the ethos of roots based producers such as Ethan Johns and Ryan Hewitt and with input from Slowdive’s Neil Halstead, they were adamant they wanted to keep the edges loose, opting for single live takes and avoiding excessive overdubs, focusing on the vibe. The results sing with the confident energy of a band comfortable in their own skin, striking a vein of creativity and running with it. The band are playing several live dates including a performance at Great Escape and support dates with The Americans and Danny & The Champions Of The World. Detailed below. 19 – BRIGHTON The Great Escape – 5.20pm @ The Mesmerist, 1-5 Prince Albert St, BN1 1HE. Wildwood Kin have signed to Sony!!! Tucker Beathard & Ryan Hurd Set For “Wrecking Ball 2017” In Nashville On June 7!